We strive to make your visit as gentle and relaxing as possible. 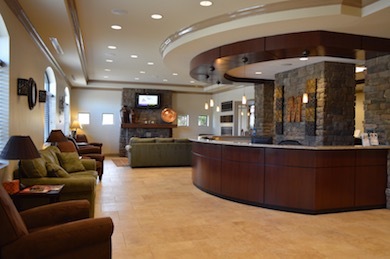 Our office was designed to be warm and inviting and with your comfort in mind. Our facility is clean and we use state of the art technology to minimize the number and length of your office visits. At McKenzie Family Dentistry our staff is our greatest asset. They are honest, caring and truly motivated by seeing you smile. Our office also offers amenities and interesting extras to make each visit with us an enjoyable experience. Our goal is to provide high quality dental care while putting you in the most comfortable setting possible.